A chill wind nipped across his face, stinging his cheeks and tousling the platinum-blond curls of his hair as the storm, congesting in the sky above, began to kindle its impending fury. Arching his wings against the bluster, Mardan muttered to himself with exasperation and shook his head. ‘Predictable of her to go missing’, he mused tetchily as he passed the next set of barns housing sheep and their herding companions; large, domesticated felines nearly equal in size to the sheep they guarded, called Maaygras. These powerful cats were as intelligent as they were temperamental and Mardan was careful to keep a respectful distance. Gazing through the doorway into the darkened interior for only a moment, Mardan hissed under his breath a second time and turned aside, but a glitter of light deep in the shadows of the barn’s hayloft where none should have been caused him to stop and gaze inward once again. Listening keenly, he strained for a sound other than the snoring of sheep and the occasional purr of Maaygras while he stared upwards, his sight limited, yet discerning enough to detect a reflection of firelight where only darkness should have been. As the light of the bonfire streamed into the barn through the hayloft window, it was inadvertently refracted by the veil she was able to draw round herself; it’s sparkling giving Ilys away even in complete darkness. Stepping inside the warm barn, Mardan shook the chill from his wings and rubbed his hands together briskly, lowering his intense stare as if he had not taken notice of her and for several moments he stood quietly; gazing nonchalantly at the animals before returning to the doorway to peer out at the hushed encampment. Then, without preamble, he spoke. “Sheep are certainly safer than nearly one hundred malefey.” Silence answered his words, but he expected nothing else. After a prolonged moment, he spoke to her again. “I know you are there, Ilys. I saw you up in the hayloft.” Pausing to allow her a moment to consider her options, he smiled dimly at her stubborn silence. “Even you cannot hide the reflection of light from your bending of it. Come down and speak with me.” His invitation was ignored, although one of the Maaygras got up from its place in a nearby corner and, glaring at him through half-closed jeweled eyes, slunk off into a quieter part of the barn. The story of Dark Fey is set in a fantasy realm of Jyndari, a world of beauty, magic, Light and Darkness. It is peopled by Feyfolk, winged beings the size of any human who are born with gifts; sometimes of telepathy or empathy and sometimes of magic and ethereal powers. 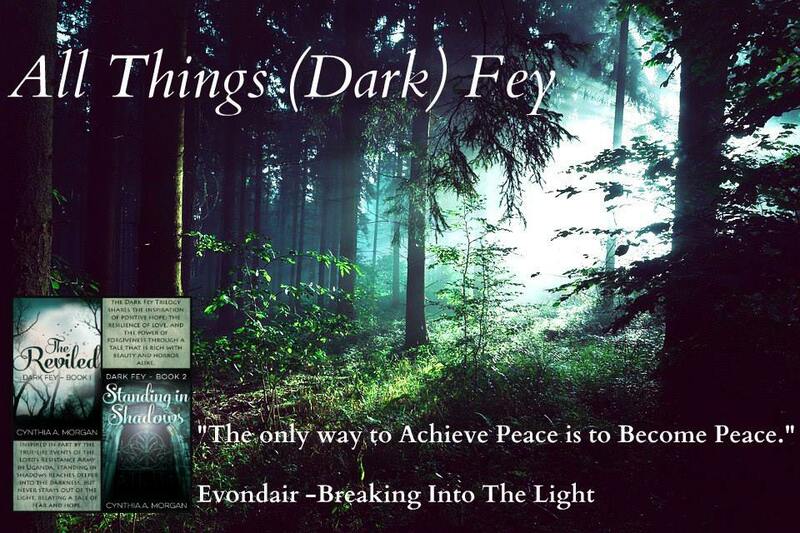 Although it is an Epic YA Fantasy, the message of Dark Fey is based upon the horrifying true life events of the Lord’s Resistance Army and is relative to our own reality. It relates how the Power of Hope, Acceptance and Forgiveness can change the world, if you take Positive Action to create Change through doing what is Right. The only way to achieve Peace is to become Peace. Coming towards them through the powdery snow was an immense deer, which stood easily six feet high at the shoulder. He was harnessed with light leather tack to an elegantly designed cart constructed of wood, which was carved with intricate designs and fashioned with runners, instead of wheels, to negotiate the deep snow of Jyndari winters. The massive Hasparii tossed his head exuberantly in the newly falling snow; displaying his breathtaking rack of exquisitely twisting antlers that stretched to a breadth of nearly four feet from tip to tip. The two malefey who stood watching in awe-struck silence could not contain their smiles at his demonstration and, as he pranced towards them with a high-spirited gait, they stepped aside to make way for the extraordinary monarch of the forest with observable reverence. Behind them, where the portal exposed by the Great Gate’s falling melded two opposing realms into one, the shadows beneath the mountain heaved and hissed with the threatening vocalizations of the Reviled. Crimson stained arrows shot from the darkness, seeking any who might be unfortunate enough to find themselves in their trajectory, yet these tactics could be little more than intimidation; a warning of the conflict to come when the Light diminished. The Liberators knew this and stood on either side of the yawning portal, making their presence known by creating a game out of knocking aside with their swords as many arrows as they could and by returning the insidious calls from the presently thwarted Demonfey. Tauntingly, they issued brash invitations for the Cursed Ones to come forth; fully cognizant of the fact that they could not bear the brilliant Light filling the clearing, yet jeering at their cowardice. “It is a treacherous game we play.” Evondair noted as he stood beside Reydan, both malefey wordlessly observing the derisive bantering going on while standing over their fallen comrade in the silently descending flurries that had begun falling. Beautiful Ice Cave Photograph found on Pinterest. Credit Gratefully Acknowledged to the Original Photographer. Thank You! Today I am sharing three teasers of interactions between the two lead characters of Dark Fey: the Dark Fey Gairynzvl and Ayla, a Fey of the Light offering a glimpse into the changing complexity of their relationship. In this second teaser, from book two of the trilogy (Standing in Shadows), they begin to explore the romantic side of their relationship. Drawing her out of the Chamber of Jollity into the dimly lighted corridor beyond, he sought a secluded corner, pulling her urgently along with him until he came upon a window at the end of the long hallway. There, in the luminous glow of moonlight, he turned round and embraced her with a deep moan, caressing her with the tips of his wings as their thoughts melded in sighs. Running his hands along her arms, he grasped her more firmly, pulling her upward against him while he stared hungrily at her; then, he lowered his head to kiss her. Today’s Friday FeyDay spotlight is a scene from Dark Fey: Standing in Shadows where the Liberators (of Childfey) are preparing to cross into the dark realm of the Uunglarda. In this particular scene the Fey Guard Bryth takes his first steps into a portal, and as a result, a new realm. This scene takes its time to describe what crossing actually feels like. Bryth waited for several hesitant moments, unsure how long it might take to cross and unwilling to make the attempt too soon and endanger his friend, but when Ilys spoke in a hushed tone that he could go, he stepped forward, pulled his wings close as he had seen Gairynzvl do and drew a deep breath. Glancing behind him at Mardan only briefly with an expression that clearly betrayed his enthusiasm regardless of the inherent risk involved, he stepped forward into the undulating mirror. Instantly a bizarre sensation washed over him that he could not control, a feeling like being slowly immersed into ice cold honey. The thick, heavy sensation enveloped him and drew him deeper within, pulling him while, at the same time, adhering to him in a suffocating embrace. Recalling the Fierce One’s instructions to keep moving, Bryth stepped again into nothingness and felt as if he was falling, although the stifling murk surrounding him beguiled his vision so that he could no longer ascertain any direction. As the sucking, slurking darkness drew him deeper into its swirling center, for one terrifying moment, he lost awareness of his own body. Feeling as if he floated in the sodden darkness, it took all his concentration to take another step forward; however, when he did, he could hear the scrunch of gravel beneath his boots. Astonished by the sound emanating from out of the deafening silence of the void, he looked downward, unable to see; nevertheless, the unmistakable sensation of solid ground beneath his feet recollected his senses from the terrifyingly vacant euphoria into which they were sliding. The ability to step forward an additional time came easier with this reorientation and as he did the empty blackness seemed to release him as he slipped through it into a shadow-filled, sulfurous atmosphere. Looking round him with immeasurable curiosity, Bryth located Gairynzvl standing a few feet away, gesturing to him to step forward again, away from the crossing-point, and with the first step the blank silence that had enshrouded him fell away. In the distance he could hear the incoherent muffled noises of countless souls in torment, wailing in distress or howling in pain; insidious laughter twisted in the dingy dimness mingling with angry voices shouting in vulgar Dlalth. Moving closer to Gairynzvl with a grimace of disgust, Bryth’s first query was not about the crossing or the odd sensations he experience while inside the vortex, but very bluntly inquired what the source of the horrid smell was that assaulted them. Shaking his head with a wry smile, Gairynzvl responded with an ironic chuckle. As dimness enveloped them, several of the friends drew unsteady breaths and Ayla could not help pressing close to Nayina with an instinctual dread of the darkness. In front of them in line, Ilys stifled a hiss of frustration at this evidence of her fear and turned to face the portal, watching with keen interest, her eyes better suited to the murkiness around them, as Gairynzvl stepped closer to the portal and raised one hand before him, wielding a magic she did not possess. “Hchrynoch drall enpach thrynnovich.” His use of fluent Dlalth spawned more than a few shivers, as the guttural, defiled language was feared by the Fey of the Light even more greatly than darkness itself, but their trepidation quickly dissipated into curiosity when the mirror made a sound they never anticipated. Creaking like ice shifting on the shoulders of a frozen river, the dark glass of the mirror visibly warped in response to his words. “Hchrynoch drynnovl enpackich thrynnul.” Gairynzvl continued, altering the dark incantation he used in order to open the portal even further. Behind him, Mardan could not combat the shudder of revulsion that serrated through him, although he could not be sure whether this was in response to the gruesome language he was hearing or if it was an effect of opening the portal. Groaning more loudly in opposition to the spell being spoken, the mirror seemed to shift upon the floor, as if twisting on its base in an attempt to escape the abhorrent invocation while the ripples on its dark surface became more evident. Raising his other hand, Gairynzvl directed even more energy at the portal, increasing the intensity of his tone as he spoke a third time. “Hchrynochthalinan drynnovl chi ennovat!” The mirror resounded with a thunderous sound, like that of rock splitting from the face of a cliff and shattering downward in a shower of debris, although not a single shard of glass broke from its face. Nevertheless, where there once had been a reflective plane, smooth and polished, a wavering surface like that of water slowly rose and fell before them. Turning to gaze back at those waiting upon his actions, he gazed at them with an intense expression of determination. Echoes of voices whipped round him like autumn leaves spiraling upon the wind, though they were disjointed and unintelligible. The terrifying growl of united Dlalth voices bolstering for battle ascended from the swirling vagueness below and, from the distance, the scattered sounds of a lyrical intonation broken by the ferocity of the winter storm. Evondair recognized the Celebrae petition recited by all Fey of the Light before entering into dangerous situations and, without hesitation, he repeated it inwardly. Vrynnoth chae Luxonyth guildynn, braechanyth Luxonyth vornae tywylucht. May the Light that guides vary not and cast Light over this darkness. Out of the swirling shadows of snow and nighttide, a voice unexpectedly filled his mind so piercing it caused him to flinch backward and shake his head. Nunvaret stepped through the slowly turning vortex of the portal into the pummeling snowstorm, grimaced fiercely at the unexpected weather; then tilted his head back as he gazed upward into the darkness. A Snippet from the upcoming finale of the Dark Fey Trilogy: Breaking Into The Light. Pause and hear their Soft Sigh. As they Fly all Around! 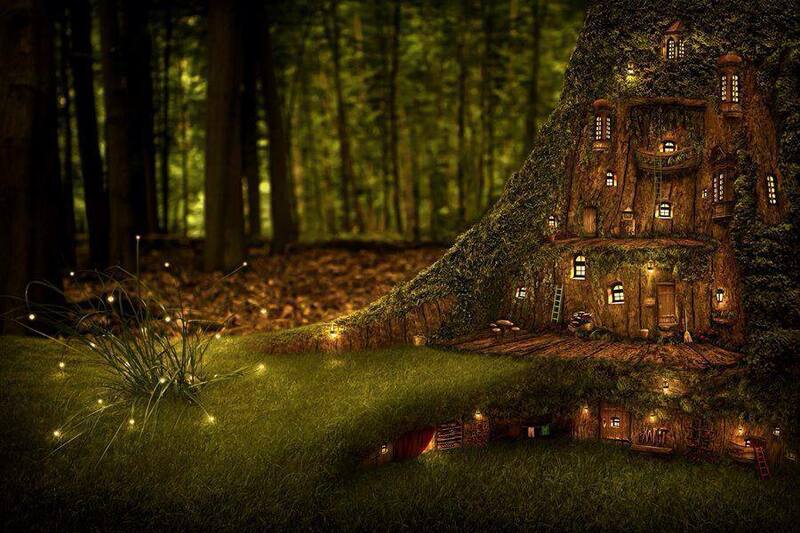 Like in a Fairytale Book. Hope you enjoy delving into the Shadows…. It seems it was not all that long ago I was posting Dark Fey out in pieces as part of my Friday Fantasy posts, testing the waters, as it were and gaining valuable feedback about the story, the characters and the realm of Jyndari. 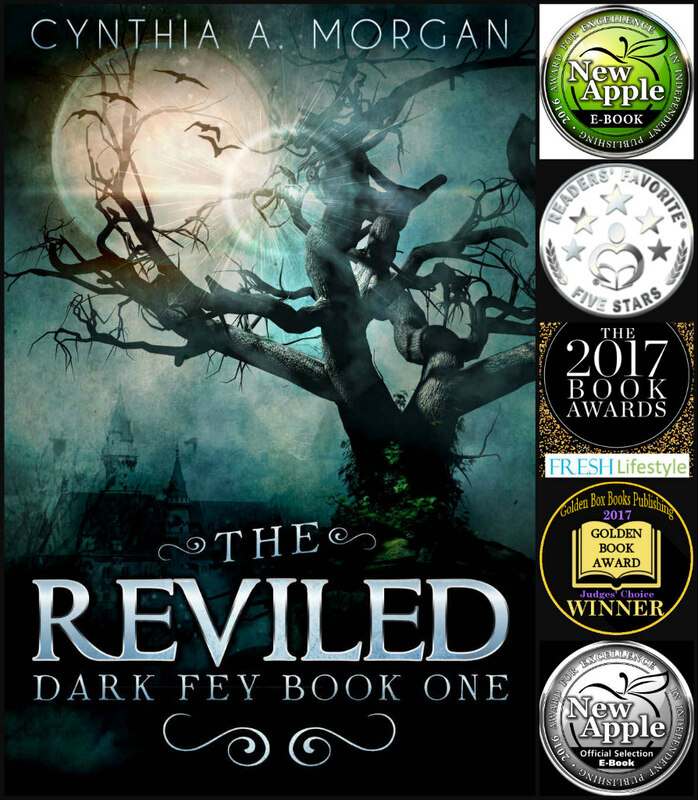 Now, a mere three years later, Dark Fey is a published series with plentiful 4 and 5 star reviews, as well as industry awards to its merit. 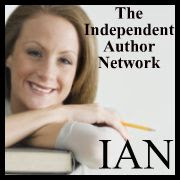 I could tell you all about how wonderful the story is, but I am admittedly biased, so here are a few other opinions from readers, reviewers and other authors. “Several times while reading I had to pause just to admire the work gone into creating the way the fey spoke and the language they used….The series is going from strength to strength and I would definitely recommend this one to fey lovers. 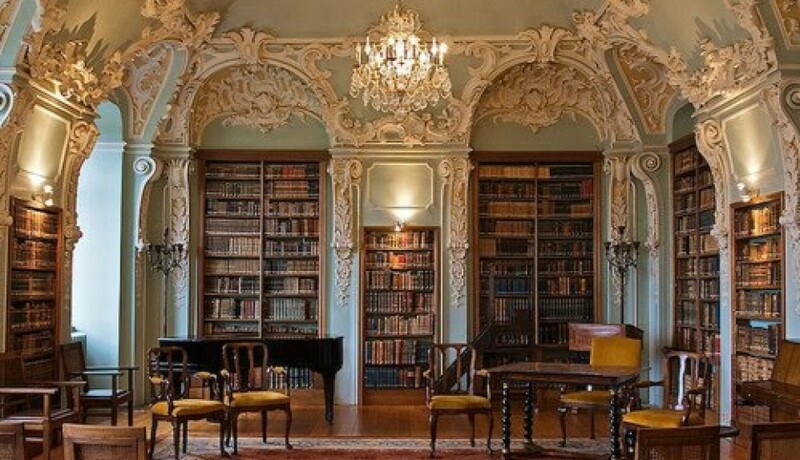 Though it is not my intention to blow my own horn, I do hope the thoughts of fellow readers may be of interest to you, especially if you are contemplating reading for yourself. Thank You for blessing me with your indulgence! I am so Excited! I simply had to share the news. My publisher (Creativia Publications) just made my Dark Fey Official Landing pages available on their newly revised website. Now, instead of just a flat cover photo, there is Cool background artwork, actual book photos (nifty I know, right! ), and expanded, Behind The Scenes descriptions for each book. If you feel inclined, stop by and have a look around. Feedback is appreciated 😉 and Sharing (via the webpage social media links) is more appreciated than I can say. Thank you for sharing my excitement! His whispers spoke to her in delicate drops, like water filling the recesses of her mind. Echoes of things half remembered, half heard. She listened in the deepest musings of slumber, his voice an ethereal song only her essence recalled. He reached for her in the soft flickers of candlelight, like shadows scintillating and surrounding the periphery of her perception. A Dream dancing on the borderland of sight and reveries; unseen, unfelt, yet impossible to disregard. She felt his presence as sweetly as the night caressing her cheek and as peacefully as the indigo-ebon shifting tides rocking the ocean of her consciousness. Fleeting was his song, yet every night he sang as the galleon of restful musings sojourned across the nodding skies; his voice coaxing her into a realm of peaceful tantalization. Ephemeral bliss painted in sighs and smiles; in the tenderest touch of his resplendent wings; in the feather-light brush of his lips upon rose-leaf complexion. Cajoling, persuading, entreating her to follow him into The Nevermore. Nevermore. His Realm where all once held as treasure had slipped into forgotten lore. His realm where he lingered, alone, trapped, waiting for the essence of one he had lost to be reborn to him and return into his embrace. His realm, fallow and barren, without her.